Seymour isn't cool, but he isn't a geek either. He's a lonely, obedient 8th grade loser at Glendale, a second tier prep school in Manhattan. His chubbiness has recently earned him the nick name "Chunk Style" and he has resigned himself to a life of isolation. All of this is about to change. After successfully getting himself expelled from every reputable school in the country, Elliot Allagash, the arrogant heir of America's largest fortune, finds himself marooned at Glendale. Try as he may, Elliot cannot get expelled this time; his father has donated too much money. 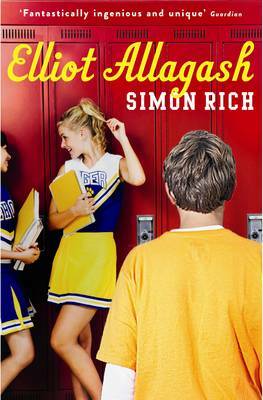 Bitter and bored, Elliot decides to amuse himself by taking up a new hobby: transforming Seymour into the most popular student in school. An unlikely friendship develops between these two loners as Elliot introduces Seymour to new concepts, like power, sabotage and vengeance. With Elliot as his diabolical guide, Seymour gradually learns about all of the incredible things that money can buy, and the one or two things that it can't. Hilarious, ingenious and tightly plotted, Elliot Allagash reminds you what your teens were like, and why growing up is so hard to do.